The thought of demons and angels among us, especially since we can’t see them, can be overwhelming and easy to dismiss. For the most part, we either ignore it or choose not to think about it. However, spiritual warfare exists. It’s a world we cannot see, yet we cannot ignore its importance. Things that occur in the spiritual realm have eternal significance. We tend to dwell on bad things that happen in our lives, and that’s natural. However, if you really want your mind blown, consider how many devastating and traumatic things you may have been prevented from experiencing! We’ll never know for sure, this side of heaven, but I bet the number is staggering! To get your mind headed in this direction, just think about close calls you’ve experienced in your car. Or the bad storms that occurred just a mile or so away. Or the criminal act committed in your neighborhood. Since these are incidents we can actually “see”, we can only imagine how many incidents we never even knew about. Beyond that, consider how many tempting thoughts have been stopped before they started. Asking God to “lead me not into temptation” sets faith into motion in ways we cannot begin to comprehend. I challenge you to spend a few minutes today contemplating God’s protection over your life. More importantly, express your gratitude for all the unseen things and their eternal value. 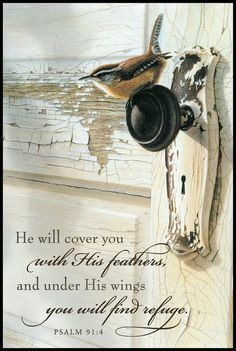 Thank you, Lord, for protection from the unseen things!